"Wild Blue River in the Media Room"
Tod and Sandy came to the 11th annual Woodlands Waterway Arts Festival as they do every year - but this time their eye caught sight of 'Wild Blue River'. 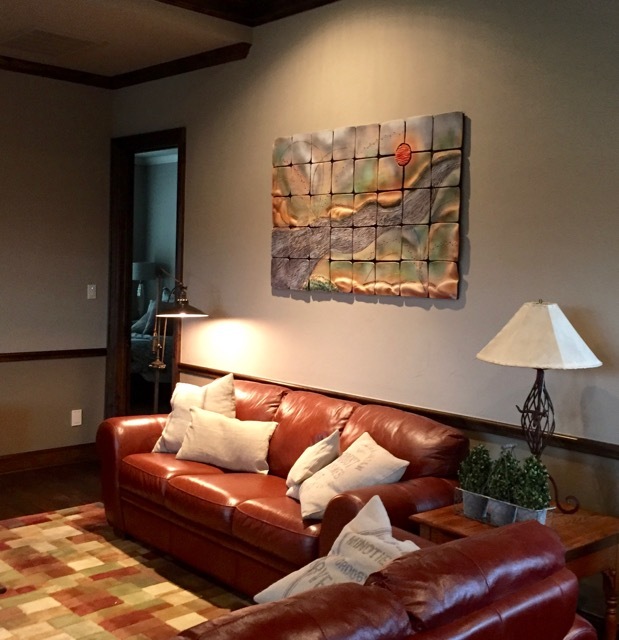 They selected it for a large wall in their Media Room, just across from the pool table. Sandy was a great installation assistant! Thanks to both of your for supporting me at this year's art show.